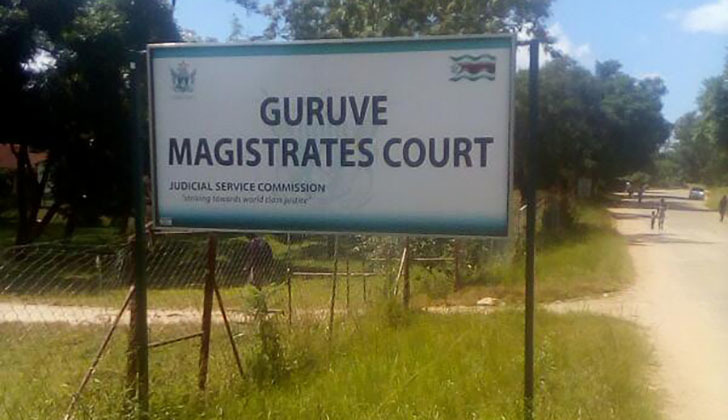 An 18-YEAR-OLD Mbire man was dragged to Guruve magistrates' courts after he allegedly pulled his father's manhood protesting that he should not take his mother's property despite the couple's divorce. Prosper Mabhifi pleaded not guilty to the charge before Guruve resident magistrate Shingirai Mutiro who remanded the matter to 24 October 2018 for trial. The state alleges that on 4 September at Chidyambizhu village, Chief Matsiwo, Mbire Clemence Mabhifi (37) father to Prosper was at his place of residents loading property of his ex-wife who is the accused's mother in a scorch cart so that they would be shifted to Makonese homestead where she was supposed go and stay. Prosper arrived at the scene and asked why his father was loading the property before exchanging harsh words. The accused was angered by his father's actions since he did not want his mother to be evicted from the homestead and he went on to physically abuse his father by assaulting him all over the body with clenched fist and kicks before pulling his father's private parts strongly with his hands. The father sustained soft tissue injuries on his chest, back, occiput, genital organs abrasion plantar on right foot and laceration right second toe. The complainant was medically examined at Guruve hospital and the medical affidavit was produced in court.